Charles Ferguson Smith (April 24, 1807 – April 25, 1862) was a career United States Army officer who served in the Mexican-American War and as a Union General in the American Civil War. 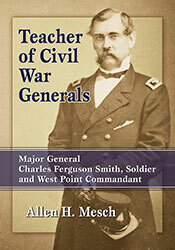 Teacher of Civil War Generals – From the training field at West Point to the entrenchments at Fort Donelson, Charles Ferguson Smith was the soldier’s soldier. The call of duty was a magic sound for which he was always ready to make every sacrifice. He was the very model of a soldier, calm, prudent, self-poised, and bold. During his 40-year military career, these qualities earned him the respect and admiration of his peers. However, his story is more than an account of battles fought and victories won. Through his correspondence, we discover a man who combined the qualities of a faithful officer, an excellent disciplinarian, an able commander, and a modest, courteous gentleman. Smith was born in Philadelphia, Pennsylvania, the son of an army surgeon. He graduated from the United States Military Academy in 1825 and was commissioned a second lieutenant in the 2nd U.S. Artillery. As he rose slowly through the ranks of the peacetime army, he returned to West Point as an instructor and was appointed Commandant of Cadets as a first lieutenant, serving in that position from 1838 to 1843. As an light battalion commander he distinguished himself in the Mexican-American War, serving under both Zachary Taylor and Winfield Scott, at Palo Alto, Resaca de la Palma, Monterrey, and Churubusco. He received three brevet promotions from major through lieutenant colonel for his service in these battles. In Mexico City, he was in charge of the police guard from the end of the war until 1848. He directed the Red River expedition in the Minnesota Territory 1856–57. Smith served under Albert Sidney Johnston in Utah (1857–60) and commanded the Department of Utah himself from 1860 to 1861. General Winfield Scott appointed him to direct the Department of Washington (at Fort Washington, Maryland) in April 1861. After a brief stay in Washington, Smith was placed in charge of Regular Army recruiting at Fort Columbus, New York. At the request of General John Fremont, he was commissioned a Brigadier General of Volunteers (August 31, 1861) and transferred to the Western Theater to command the District of Western Kentucky with headquarters at Paducah, Kentucky. He then became a division commander in the Department of the Missouri under Brigadier General Ulysses S. Grant, who had been one of his pupils at West Point. This potentially awkward situation was eased by Smith’s loyalty to his young chief. Smith’s experience, dignity, and unselfish character made him Grant’s mainstay in the early days of the war. When theater commander Major General Henry W. Halleck became distrustful and perhaps jealous of Grant, he briefly relieved him of field command of the Army’s expedition up the Tennessee River toward Corinth, Mississippi and gave that responsibility to Smith. However, Halleck soon restored Grant to field command. Grant’s restoration was fortunate because by the time Grant reached Savannah, Tennessee, Smith had already met with an accident while jumping into a rowboat that seriously injured his leg, forcing him out of field duty. His senior brigadier, W. H. L. Wallace, led his division (and was fatally wounded) at the Battle of Shiloh. Smith died of an infection following his leg injury and chronic dysentery at Savannah, Tennessee, and is buried in Laurel Hill Cemetery, Philadelphia. 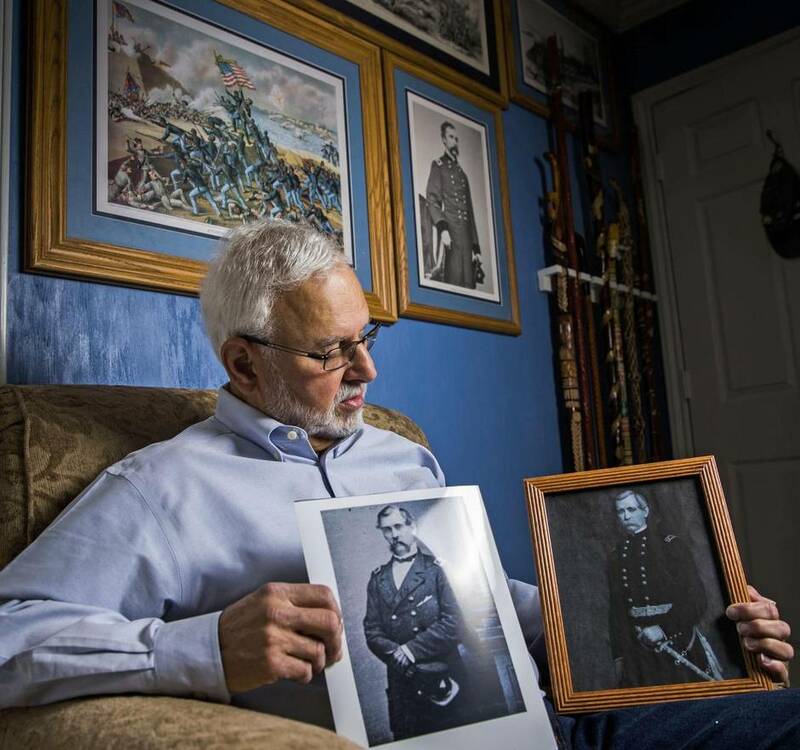 His premature death deprived the Union army of one of its best leaders, and his absence was nowhere more felt than on the battlefield of Shiloh, where the Federals paid heavily for the inexperience of their generals. A month before his death, he had been made Major General of Volunteers. Two forts were named in his honor. The first Fort C.F. Smith was part of the perimeter defenses of Washington, D.C. during the American Civil War. A second Fort C. F. Smith was located in the Powder River Country in the Montana Territory during Red Cloud’s War. Bearss, Edwin C. “General C. F. Smith’s Attack on Rebel Right.” Fort Donelson National Military Park Service. Research Project #10, December 1959. Please post your review on Amazon, Goodreads, LibraryThing, and my Facebook author page.